Rounding out the year of YA dystopian literature adaptations is the mysteriously intriguing film, The Maze Runner. When a young man awakens to find himself trapped inside a giant maze with a group of other young boys Lord Of The Flies style, he must piece together his past and outsmart whoever put him there in order to escape. 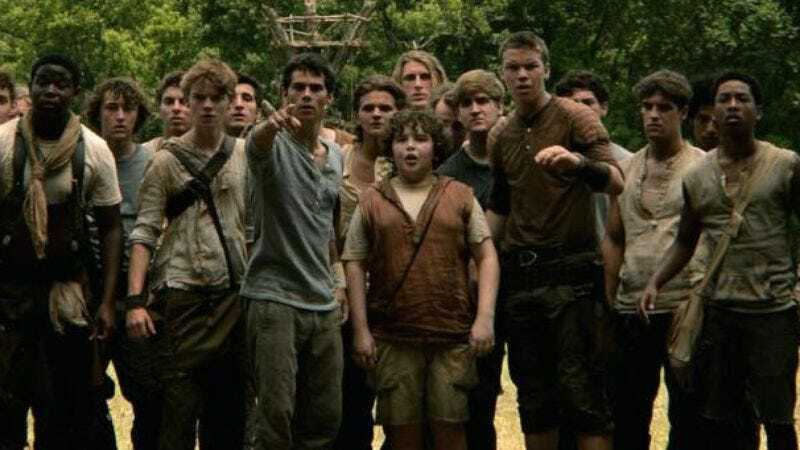 Based on the best-selling novel by James Dashner, the film is set to hit theaters nationwide September 19, but The A.V. Club has an opportunity for you to attend an early screening September 16, here in Chicago. For a chance to receive event passes simply follow the link here and enter the RSVP code AVCLUBAQJE. Remember, seating is first come, first serve, so arrive early! A synopsis and trailer for the film can be found below. Good Luck!